The TubePRE is the highest quality vacuum tube preamp in its class. Loaded with PreSonus award winning dual servo preamplifier, the TubePre affordably delivers low noise tube warmth for vocals, guitars, bass guitars, synths and sound modules. 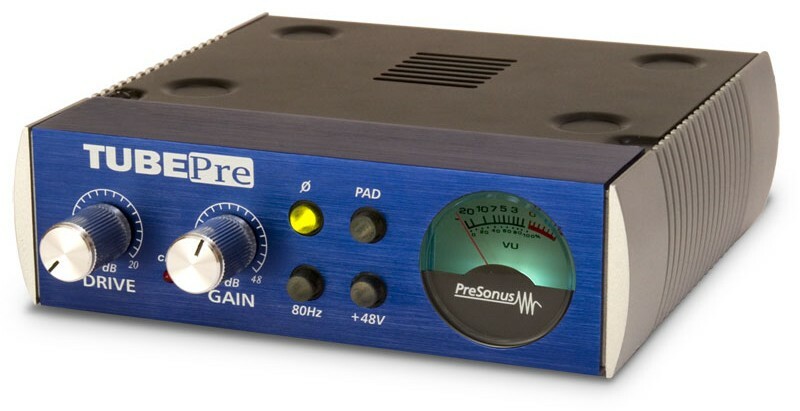 The TubePre noticeably outperforms preamps in low cost mixers and recording interfaces making it an easy choice for anyone desiring to enhance their recordings with the magic of tubes.